A weather station is a system integrated by sensor or measure devices of different typology whose goal is to measure the time variability of the weather conditions from a specific site, through a discrete sampling of physic variables called observations. Knowing and quantifying the solar resource of Castile- La Mancha, by analysing its spatial and temporal complexity. Developing methodologies for the short-term prediction of the solar resource (hourly and daily). 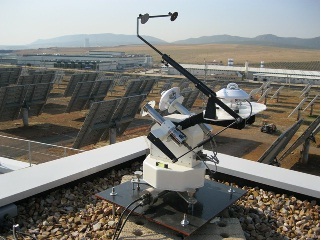 ISFOC automatic measuring network is made up by four weather stations installed next to the ISFOC CPV plants, in Castile-LA Mancha(Spain).